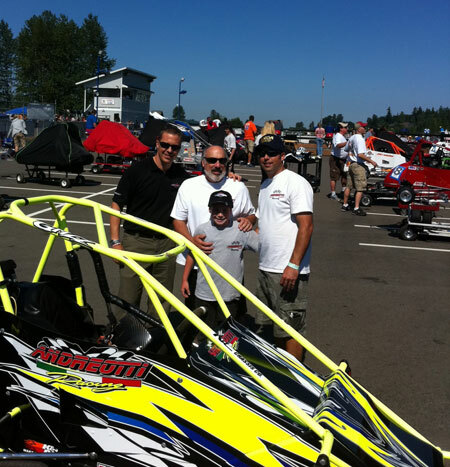 Jacob Andreotti and Crew with Briggs Racing President David Klaus. Jr Animal - Jacob Andreotti, Sr Honda - Nicholas Howard, Hvy Honda - Makenzie Buller, Jr Stock - Ryan Kislingbury, Sr Stock and Lt 'B - Adam Pechman, Lt Mod - Tyler Ankrum, Hvy Mod and Hvy 160 - Ryan Jones, Lt 160 - Tanner Holm, Hvy 'B - Emily Spencer, Lt 'AA - Sean Syth, Hvy 'AA - Sidney Ross, Half - Peter Link, Briggs Lt World Formula - Colton Price, Briggs Hvy World Formula - Kayla Pittman. Opening Ceremonies on Wednesday!